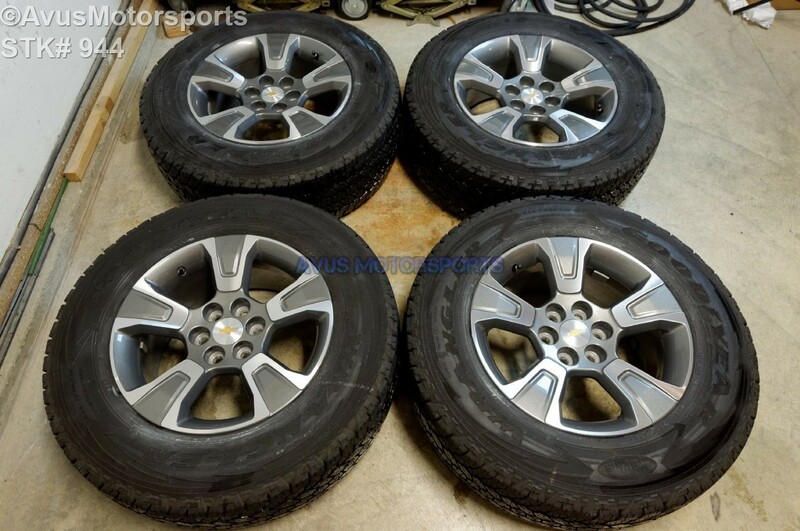 This item is for a set of (4) 2016 Chevrolet Colorado 17" OEM genuine wheels and GoodYear Wrangler Fortitude HT 255/65r17 tires. These wheels and tires were taken off a brand new 2016 Chevrolet Colorado at around <200 miles, so they are in excellent condition, although there might be some minor scratches or blemishes. Please review all pics! Please review every single pics!